"Since law is not an exact science, all legal positions are defensible. This book describes verdicts that will seem totally incomprehensible to us from our social conception, and others that are entirely in agreement with it. In doing so, I would like to make it clear that many of the fundamental principles of law that we believe to be eternal and inviolable are really the result of the social conception and doctrine of the specific era in which they are applied. And this does not mean that they are more or less accurate or correct. They are simply the fruit of the society and law of their time. The best principle is the one that serves to achieve social peace at the time when it is applied. This, however, is just a personal opinion." 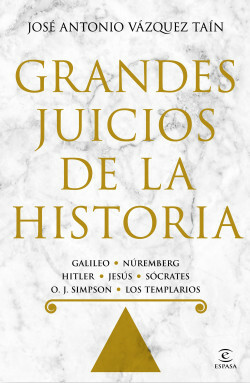 Galileo, Nuremberg, Hitler, Jesus, Socrates, O.J. Simpson and the Templars.